Marriage can be complicated. And sometimes, despite our best efforts, it doesn’t work out. In these cases, a couple may be considering separating or are ready to divorce, but aren’t sure how to move forward. At Mulligan Epstein Attorneys, our family law attorneys understand the complex and often emotional nature of these proceedings, and are here to support our clients through any difficult decisions their families may face. Separation and divorce both create a space between you and your spouse, which means living apart and keeping your finances separate. If children are involved, the court can order child custody, child support, and the division of assets, creating legal boundaries by which you’re required to live. Separation should not be looked at as a better choice over divorce, but rather a first step in determining if you and your spouse should remain apart. The day you or your spouse moves out and remain apart under different roofs can be considered your separation date. Under North Carolina law, a divorce cannot be filed until you have been separated for one year and one day of your separation date. North Carolina doesn’t recognize legal separations, and thus does not have a judicial process that results in a separation decree. While separated, you can hire a lawyer to draft a document once two parties are separated, which is a binding contract knows as a “Separation Agreement.” This document outlines how issues such as child custody, child support, spousal support and division of assets and debts will be handled during the separation. Some couples have even credited their separation with saving their marriage and ultimately making it stronger. The difference between a divorce and a separation is simple but stark. A divorce is a formal end to your marriage. When you get a divorce, you are no longer married. You’re free to remarry and live your life as a single person. You no longer have any legal obligation to your former spouse, outside of what is ordered by the court. There’s no turning back—divorce is the end of the road. A divorce is best for people who, after being separated one year and one day, still do not wish to be associated with their spouse anymore, have no hope for reconciliation, or who plan to remarry in the future. 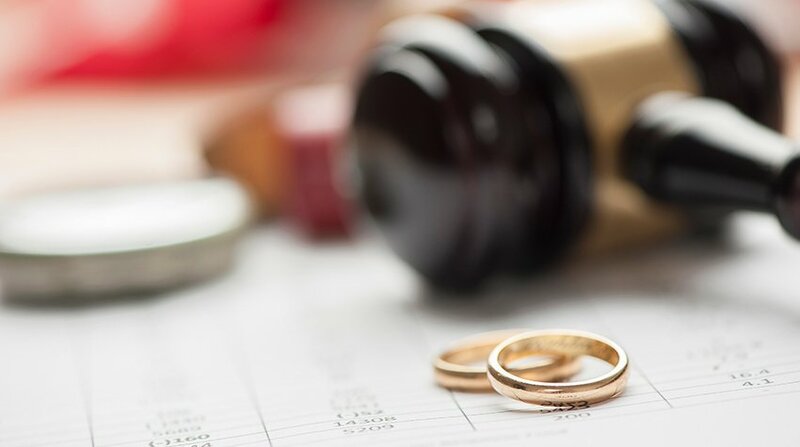 If you and your spouse believe divorce is the solution, there are many steps you must take, preferably with the help of a divorce attorney such as those at Mulligan Epstein. It may seem silly to involve a lawyer if you’re “just” separating. After all, you may end up getting back together, or simply living apart without officially divorcing. Nothing will really change, so why go to all the trouble of involving an attorney? Because living apart from your spouse without a formal separation agreement can put you at great risk. You may consider yourself separated, but legally you still remain liable for your spouse’s debts and legal issues. A separation agreement will keep you safe financially, help you deal with join bank accounts and credit cards, and create a plan for your children. Remember, the future is long and unpredictable. You and your estranged spouse may have a civil relationship now, but who knows what it will be like in five or ten years. A legal document will ensure you protection no matter what else happens. If you’re considering separating or are ready to divorce, schedule a consultation with Mulligan Epstein Attorneys. We’ll make sure you have all the information you need to proceed during this hard time.